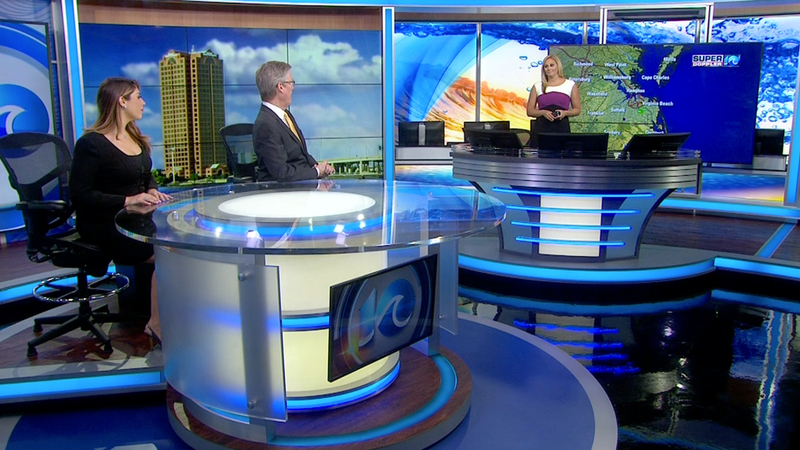 Media General’s WAVY-TV, serving Hampton Roads and Norfolk, Virginia, debuted a new set from Z Space Creative in July. The design, which is based around a circle of technology, features a light design that is tailored to the stations unique look and brand. We recently had a chance to speak with Z Space Design’s Anthony Ferguson about the project. Three words, Fresh, Light, and Inviting. How did you make the design fit WAVY-TV and its distinct look and logo? WAVY-TV has an amazing brand. It was important for us to design within the brand and to support their strong legacy in the market. 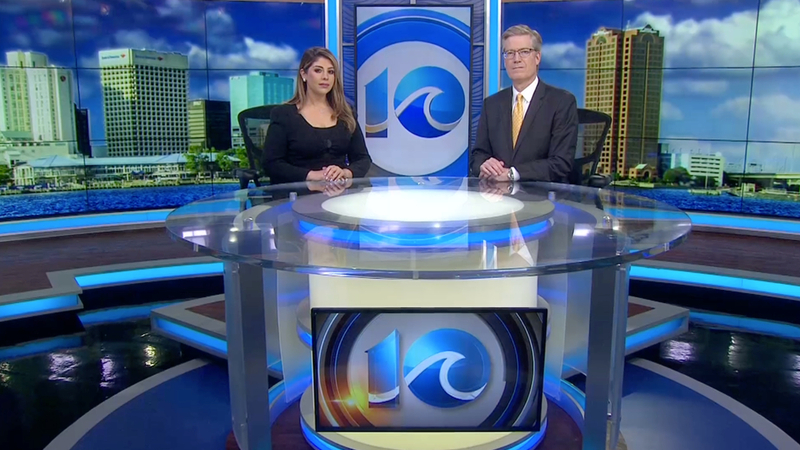 Main anchor desk on WAVY-TV set. Talk a little about the desk design? Anchor desks are the center piece of most set designs. 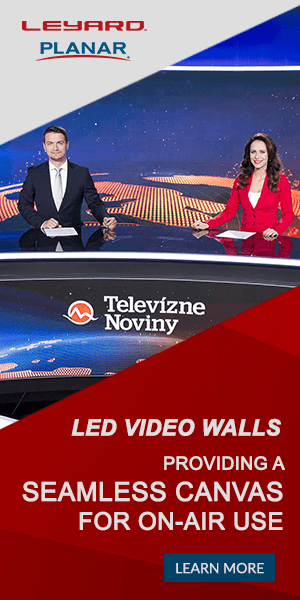 At WAVY-TV, we created a desk that incorporates all the goals of the design. A fresh, new desk design that use acrylics and lights to invite the viewers to the content. The people! We had an amazing team for this project. It was a privilege to work with a creative and talented group of people. How was technology used to enhance storytelling on the set? Stations want flexibility. Our design uses technology to provide the station that flexibility. One example is the main anchor 3×3 arrays. These two monitor arrays are used as the background for the presenters at the anchor desk and as two stand-up presentation areas for different story segments.